Why Should You Hire a Lawyer For Your Bankruptcy Case? If you‘re an individual filing for Chapter 7 or Chapter 13 bankruptcy, you can decide to go on with your case in one of the two following ways: trying it out on your own, or hiring a reputable bankruptcy attorney in Chula Vista. Although an option to try to represent your case is legally allowed, there are several reasons why it is never a recommended practice. Bankruptcy claims are complex cases, and diving into a world of paperwork, regulations and requirements can quickly become too overwhelming, while every mistake can cost you greatly. In case you are wondering if you should declare bankruptcy in the first place, and should you hire a bankruptcy lawyer to assist you with your case, here are several things you need to know. The moment you realize that your finances have gotten out of hand is the time to consult professionals. Although it‘s natural to feel unpleasantly and be hesitant when it comes to declaring bankruptcy, waiting to start dealing with the situation in the proper way is not going to help things improve. In the long run, the longer the wait, the higher the chances of your case getting additionally complicated over time. This is why there are several questions you should ask yourself, so you can be absolutely sure that filing for a bankruptcy discharge is the best option in your given state of financial affairs. Is there a different way to pay your bills and loans? Getting into any additional debts or loans can only make the situation worse, so you start to think about the possible alternatives. It’s not easy to take on one or two more jobs just to try to stay on top of the situation. Apart from being hard to accomplish, this solution will leave you stressed out and exhausted, unable to perceive and control the situation in an optimal way. Add the constant calls and questions from your creditors to the mix, and the situation will soon become too difficult to handle. Are you prepared for direct negotiations with your creditors? Many debtors fear to face their creditors and negotiating with them, and this comes as no surprise. As it becomes apparent that you have difficulties repaying your debts, the chances your creditors are going to be understanding and compassionate are very slim. If you are not skilled in delicate discussions such as this, the chances are you might not handle these meetings in the best way possible. 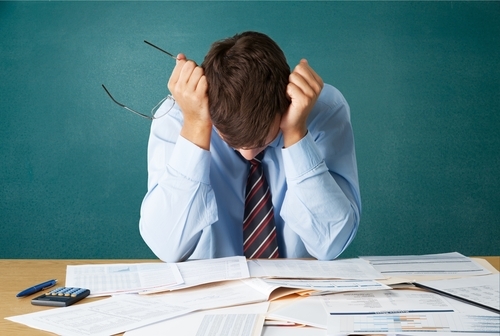 Is filing for bankruptcy the right course of action? Although it sounds intimidating, especially if you are filing for the first time, declaring bankruptcy and filing for a debt discharge can, in many cases, be the best way to deal with your financial struggles. Depending on the plan you choose, you can decide to forfeit any nonexempt property in order to get a clean slate (under Chapter 7), or you can opt for paying back your debt in agreed-upon monthly installments (under Chapter 13). Either way, while the case is in progress, and after it is successfully ended, the creditors cannot reach or harass you. What happens if I declare bankruptcy? After you file for a bankruptcy plan, the following period of automatic stay guarantees that your creditors won’t be able to collect any debt from you. This leaves you free to work on your case, not worrying if any creditor will appear at your door at any time. Also, you will be required to attend a few classes, including credit counseling and a debtor education course, the first one 180 days before you file, and the latter while the case is in motion. A few weeks after you file, you will also be obliged to attend a meeting of creditors, a court meeting set between yourself, your creditors, and your appointed bankruptcy trustee responsible for supervising your case. What happens from this point on depends on your situation and the way your case has been handled. As your financial future is at stake, it’s crucial to deal with the case carefully and professionally, as only this way you have a proper chance to start a new life, unburdened with past debts, bills and loans. 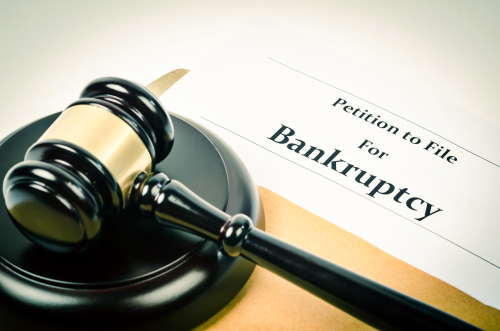 From a legal point of view, filing for bankruptcy without an attorney is an option. However, the complexity of the situation, as well as the filing process, calls for an approach that is a lot safer choice. 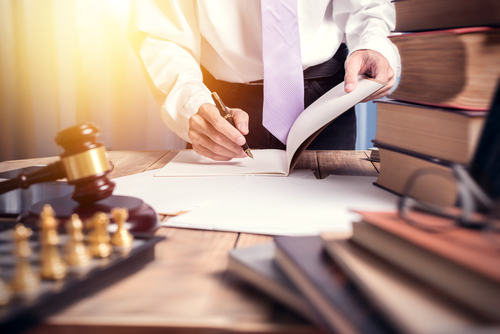 If you are wondering what a bankruptcy lawyer can do for your case that you cannot do yourself, remember that a skilled representative will, first and foremost, be able to assess the situation. They will also provide solid legal advice, be present at creditors meetings, provide insight on what takes place after bankruptcy discharge, and answer any other case-related questions or dilemmas you might have throughout the process. This is why, although allowed, being your own attorney is never the right course of action for debtors. Putting your financial safety in professional hands is the best way to stay on track that leads to a secure, debt-free future. If you don’t feel secure you know how to locate a bankruptcy attorney in Chula Vista, the time has come to end your search. Finding a dependable attorney to entrust your case to is more straightforward than you might think. Are you concerned about your financial future, wondering how long it has been since you’ve been able to think about anything else? Are you missing out on all the things that matter in life, like spending nights and days trying to figure out a way to make things right? If you cannot remember when was the last time you accompanied your little one to the Chula Vista Elementary School District, it’s time to schedule an appointment with the most reliable bankruptcy cases lawyer in Chula Vista. The law offices of Chang & Diamond are open for your questions whenever you feel ready for a consultation. Contact us today and schedule your first appointment. It’s time to get the help that you need, and start recovering from debts and loans that make you insecure and worried. With our professional assistance and valid legal advice, we can surely help you start anew.